Bhutan is seeking exemption of customs duty on 16 more products that the country exports to Bangladesh. 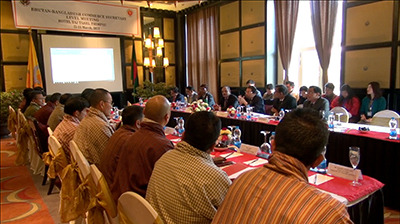 The Bhutanese delegation presented the 16-item list at the 4th Bhutan-Bangladesh Commerce Secretary level meeting held in Thimphu yesterday. The products proposed for duty free export range from agricultural to industrial products. As of now, under the bilateral trade agreement between the two countries, 90 products from Bangladesh enjoy duty free export to Bhutan, while Bhutan exports 18 products duty free to Bangladesh. The 4th Bhutan-Bangladesh Commerce Secretary level meeting also discussed issues related to export of limestone powder and calcium carbonate to Bangladesh. “Our exporters face a lot of difficulties because these two products started attracting additional duty. We have managed to come up with an agreement to resolve the issues at the meeting today,” said the director of the department of trade, Sonam Tenzin. The meeting also finalised the memorandum of understanding for the use of inland water ways for trade between the two countries in the future. It also raised the need for a preferential trade agreement between Bhutan and Bangladesh. Such an agreement gives preferential access to certain products from the participating countries through reduction of tariffs. The Secretary In-charge of the ministry of commerce, Bangladesh, Subhashish Bose, said with a preferential trade agreement, the volume of trade between the two countries can be increased. Bhutan and Bangladesh signed the Bilateral Trade Agreement in 1980. Since then, trade between the two countries has grown steadily. 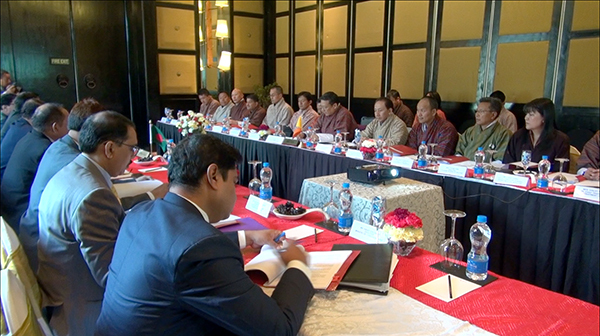 Bangladesh continues to be Bhutan’s second largest trading partner. Last year, Bhutan exported goods worth over Nu 2 billion to Bangladesh.